I record TV shows to watch when I want to “zone out” as the kids say. 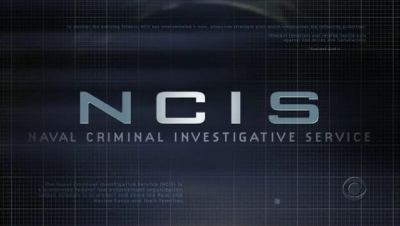 One that I like is NCIS (not the grisly parts but the problem solving parts.) Last night I watched an episode from 2011 which was about some people who do terrible things to other human beings in the name of what they call their religion. One woman was a teacher in an Afghan school working alongside some American female service members organizing a school for girls. The Afghan woman set an explosive device which allowed men from her group to kidnap the girls. Some of the girls died after being tortured. Two of the girls and one female American service member were rescued by the NCIS team and Army rangers. When the woman/teacher was questioned, along with her son who was part of the plot to destroy the school, she was asked why she did such horrible things, especially after gaining the trust and affection of those little girls. That’s a question no one seems to be asking seriously despite all the talk about terrorists, “radicalization” of otherwise law abiding American citizens, or what this “war on terror” actually is all about. The woman and her son on the NCIS program offered the closest thing I’ve heard to an explanation from their point of view. They said they are defending their traditional culture from an invasion by foreigners who bring “radical” ideas and try to pervert their girls and women with filthy sexual materials. She mentioned the internet specifically. That conversation in the interrogation room was only a few minutes, but it is the only time I’ve heard any kind of explanation for actions I find so despicable, inhumane and completely incomprehensible. And that was a TV show from 2011. It’s natural, I guess, for us to demonize whoever our enemy is at the time. I’m sure our enemies in previous wars did the same about us. We certainly were led to believe the Japanese were inherently evil during World War II. And the “North” Vietnamese were monsters in our eyes despite there not actually being a “North Vietnam” at all. As with all wars, past and present, there’s more to the story than we can see at the time.